1. Well-Thought Settings to Meet Different Needs for Different Vehicle Models! The main concept of MONO SPORT is to provide driving pleasures to all drivers. 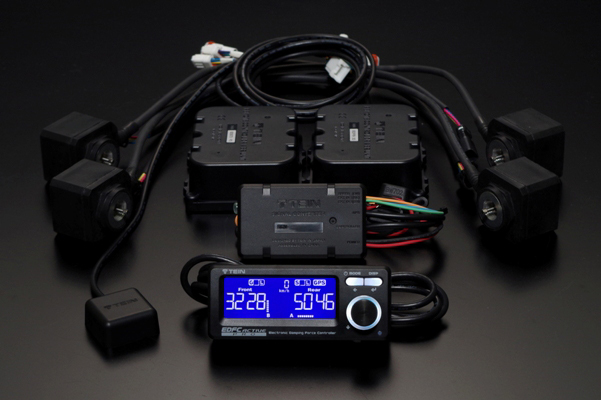 All the different needs and demands are carefully analyzed to come up with the most suitable settings for each and every vehicle models. 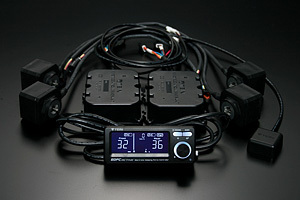 For cars often running on circuit, the settings are focused more on sport driving. MONO SPORT offers not only the precise steering feel that strongly appeals to sport-minded drivers, but also the flexible movement. MONO SPORT is set up to let the drivers enjoy the runs on circuits and/or winding roads and everyday driving on streets with the damping force adjusted. For cars requiring comfortable ride more than anything, touring settings are applied to provide and maintain the finest ride comfort which are often lost when the vehicle is lowered and/or larger tires/wheels are used. MONO SPORT offers the finest and most comfortable ride feel that makes even a long-distance driving seem like a breeze. 2. Mono-Tube Structure to Deliver Rich Information from Road Surface! 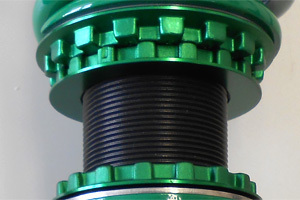 Mono tube structure of MONO SPORT completely separates the oil chamber and the gas chamber and hence aeration does not occur. This enables stable generation of linear damping force, reacting to the finest changes in road surfaces, even when running aggressively and repeatedly on circuits. With this, superior-quality MONO SPORT offers capability for the most delicate control of the vehicle and for the deepest level of communication with the roads. Exclusively-designed urethane bump rubber absorbs and softens the compression impact effectively, maintaining ride comfort when going over gaps etc and preventing the damper from bottoming out. 3. Full-Length System for Ride Height Adjustment w/ Minimal Change in Ride! 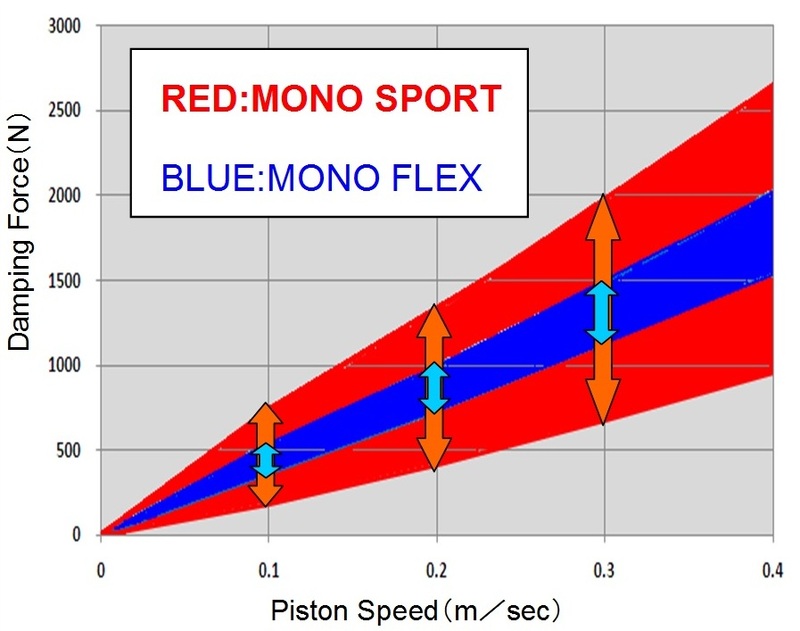 Full-length ride height adjustment system, used for MONO SPORT, enables adjustment of ride height by adjusting the case length, without changing the damper stroke length and/or spring pre-load. This has the advantage that the change in ride quality is kept minimal when the height is adjusted. This system not only makes it possible to maintain good balance between the low-down appearance and ride comfort, but also provides more setting choices for sport driving as well. 4. 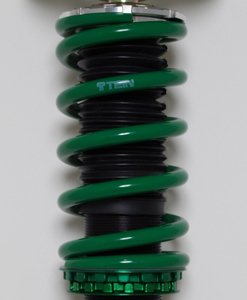 Newly-Designed Upright Strong Tube for Strut Type Suspensions! 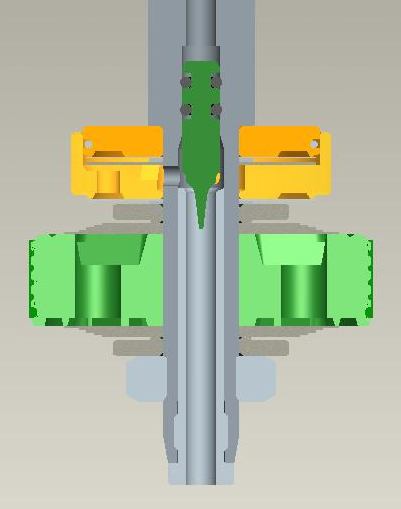 For strut type suspensions, which require high lateral stiffness, the world's first (*1) triple- tube-structured "Upright Strong Tube" is newly adopted. 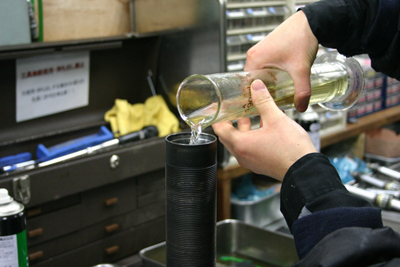 It reduces friction with the use of revised internal lubrication method. 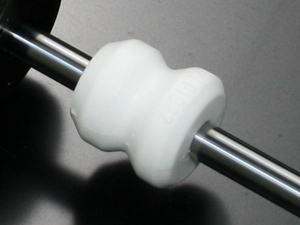 Damping force adjustment knob attached to the top of the shock absorber allows easier access and makes the installation of EDFC motors (optional) a breeze. Waterproofing process, which is a must for inverted types, is reduced/simplified greatly. The most advanced technology, cultivated in various rally events all over the world such as WRC and ERC, is now available to everyone. 5. 16-level Damping Force Adjustment (Comp./Rebound Together) + ADVANCE M.S.V.! MONO SPORT comes with the well-established 16-level damping force adjustment feature (compression & rebound together) and equipped with exclusively-designed "ADVANCE M.S.V.". "ADVANCE M.S.V." is a sub-valve system composed of a combination of 2 mechanisms; "ADVANCE Needle" to increase the damping force adjustable range and "M.S.V. 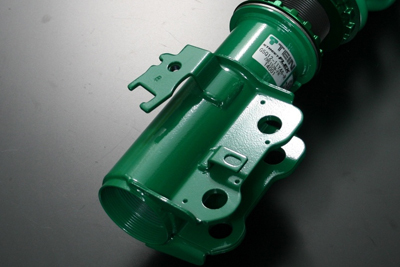 (Micro Speed Valve)" to elimitate unwanted decline of damping force in micro speed range. Both these components are redesigned exclusively for MONO SPORT. With the use of "ADVANCE M.S.V. 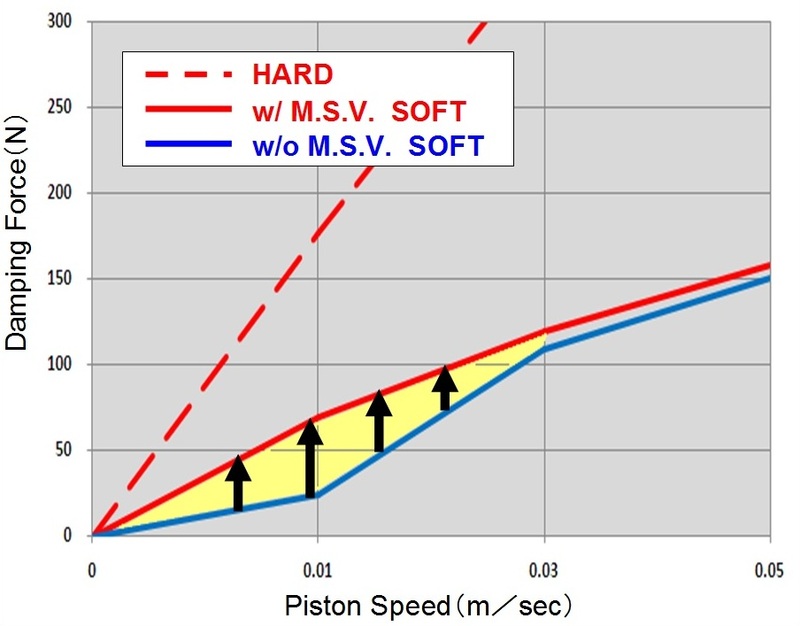 ", damping force adjustable range is made about three times wider, yet superior damping force characteristics are maintained in all parts to improve steering response, road ability and traction performance. 6. 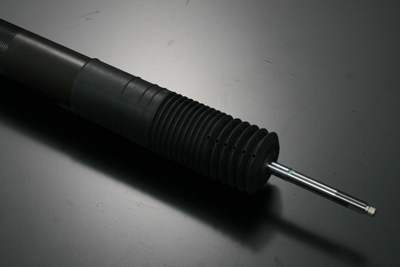 Compatible with EDFC Series to enable In-Car Damping Force Adjustment! 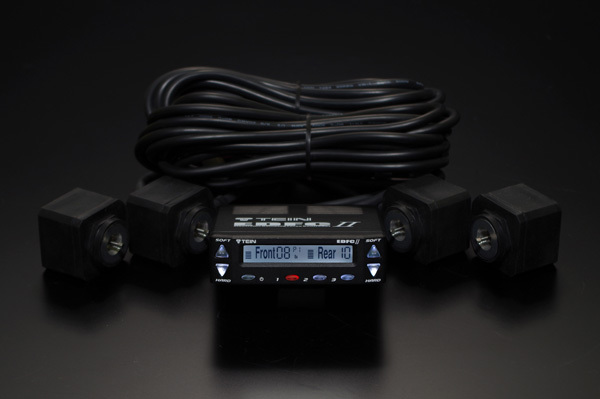 With EDFC (Electronic Damping Force Controller) series installed, damping force can be controlled from the cockpit with ease. 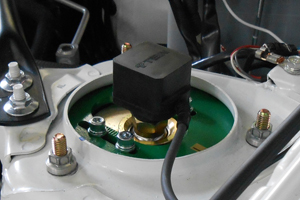 Stepping motors attached in place of adjustment knobs control the damping force quickly and accurately. Use of EDFC turns 16-level adjustment into finer 32-level or 64-level adjustment mode (64-level only available with EDFC ACTIVE / EDFC ACTIVE PRO), to provide the optimum performance by fully utilizing the damping force adjustable range drastically widened by the use of "ADVANCE M.S.V. ". 7. Upper Mounts Included for Easy Installation! MONO SPORT kit includes upper mounts exclusively designed for each vehicle model; either reinforced rubber mounts or pillow ball mounts. 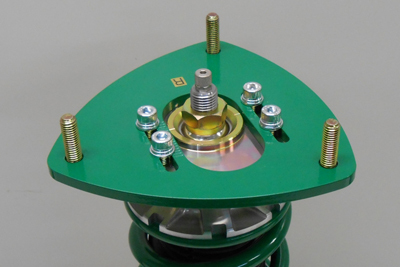 Pillow ball upper mounts for front strut suspensions have camber adjustment feature. 8. Highly Durable & Reliable! 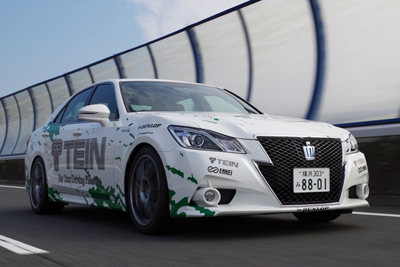 After many years of research and study, TEIN has developed optimally-shaped dust boot made of most suitable material. 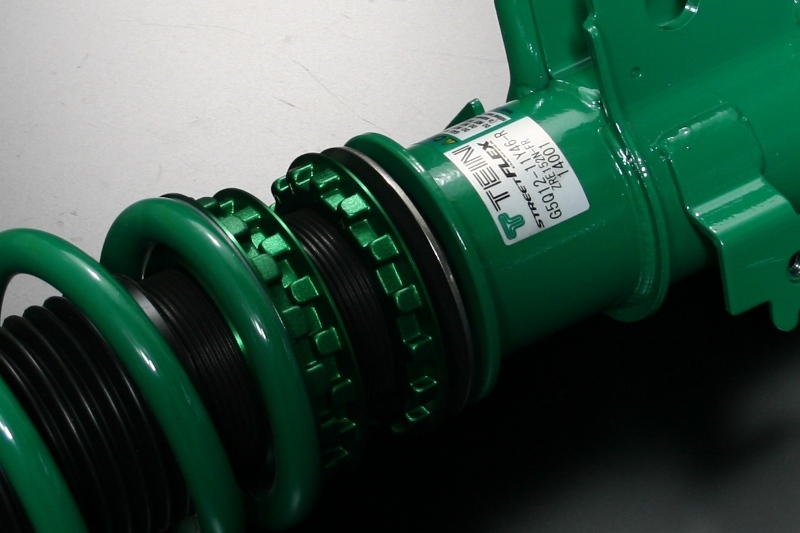 Elastic & highly-durable dust boot effectively prevents damages to the piston rod and foreign substances from getting inside the shock absorber. Final assembly of shock absorbers is done in the clean room, which is almost equivalent to operating room. 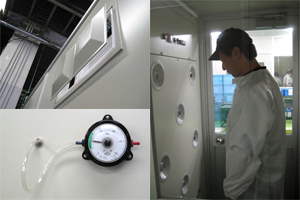 Room pressure is kept under control to shut out dust & dirt and all workers entering the room must take air shower, to make sure all the assembly work is done in completely clean air, in order to maintain higher level of accuracy and reliability. 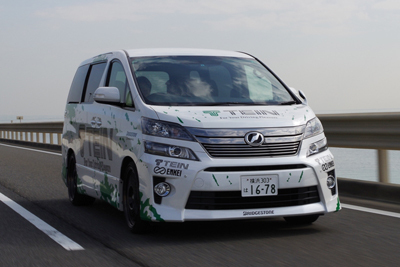 On shell case, TEIN's self-developed one-of-a-kind "ZT Coating" is applied, for tougher protection against chipping, often caused by bounced pebbles, and rust. With zero claim rate, against adhesion, out of 500,000dampers sold, we are confident that people living in snowfall area or near seashores would even be very satisfied. 10. Highly-Rigid Bracket & Shell Case! 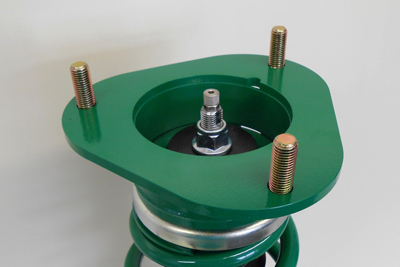 For strut suspensions, sufficiently-thick ribbed plate is used for knuckle bracket to maintain high rigidity. Flange shape edge of the bracket provides larger contact area with the bracket lock, which is fastened with the conical washer inserted in between, to effectively prevent loosening of the bracket lock most commonly occurs on front strut suspensions. Brackets for brake hoses and ABS sensor harnesses etc are exclusively designed for each vehicle model for hassle-free installation. Shell case is made of high-strength steel STKM13C and solidly-constructed for firm handling and stable ride. 11. Smooth Ride Height Adjustment & One-of-A-Kind Adjusting Wrench! 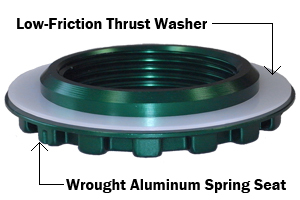 MONO SPORT has adopted the new wrought aluminum spring seats and low-friction hard-resin thrust washers. 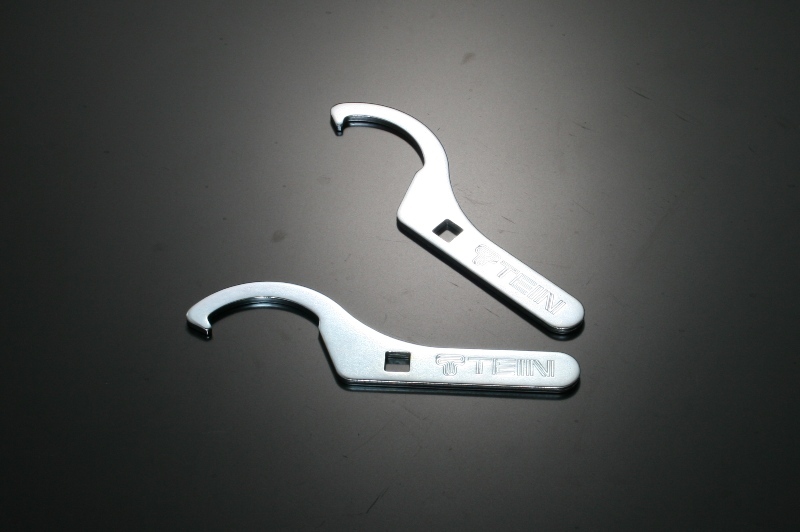 These effectively reduces the friction with springs, caused during ride height adjustment, and makes it easier to adjust the ride height with pre-load on the springs. Shell cases are treated with "ZT Coating", a superlow-friction fluorine resin coating, which is tightly baked onto the surface in-house. This special coating provides superior protection against rust and high lubricity, for keeping a smooth adjustment for a long period. MONO SPORT kit includes one-of-a-kind user-friendly ride height adjusting wrench. It has a 12.7mm (1/2in) sq. 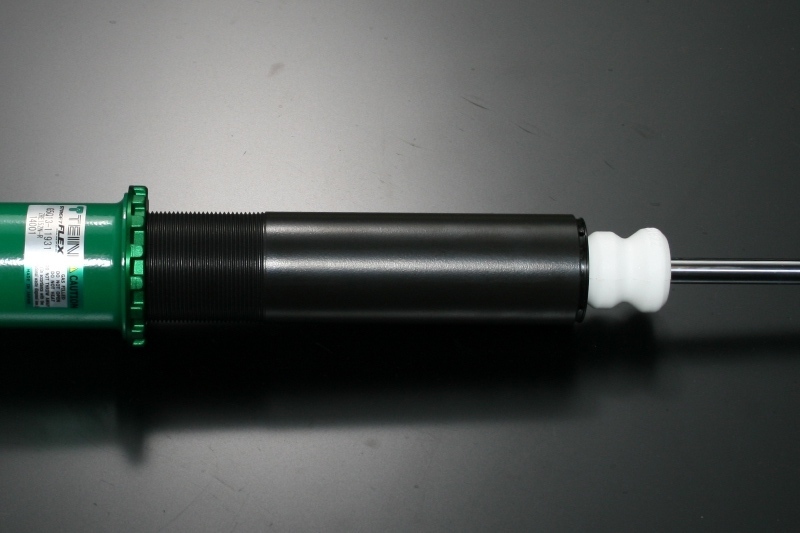 hole for attaching spinner handle and/or torque wrench for tightening at high torque. Included springs are made of high-tensile steel SAE9254 (tensile strength 200kgf/mm2 or over) and cold formed for excellent resistance to sagging and for superior quality stability. Surface is powder coated for superb protection against chipping & peeling, for high durability and for superior anti-corrosion performance. 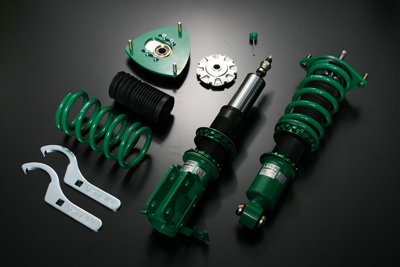 High-quality spring can be used under various conditions without any worry. The most suitable shape of spring (straight or barrel-shaped) is determined for each vehicle model, to provide wide ride height adjustable range and to secure sufficient stroke without compromising ride comfort. 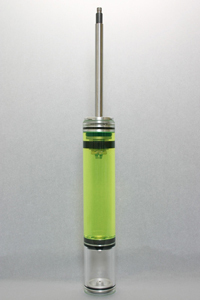 Specially-formulated high-spec oil exhibits stable viscosity characteristics at any temperature; from low to high, to allow shock absorbers to stroke smoothly and to generate damping force stably under various conditions. 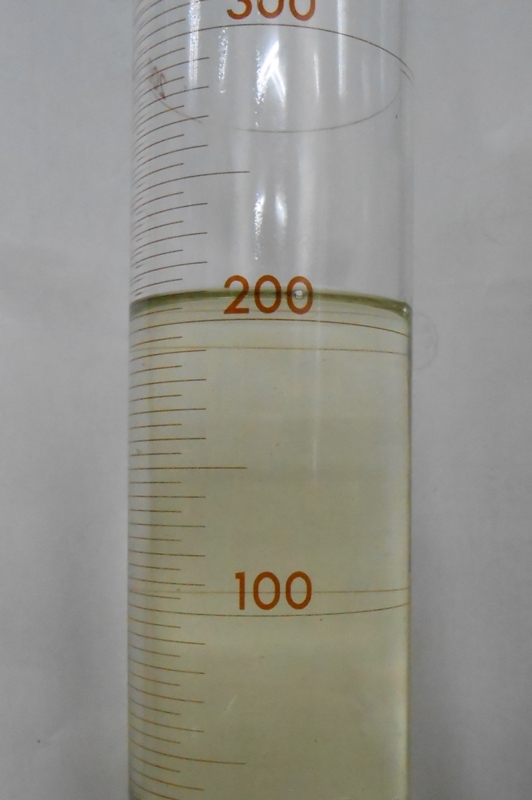 The oil has superior anti-foaming characteristics hence the bubble cavitation and/or thermal degradation hardly occurs, making it even suitable for tough sport driving. The oil also does not deteriorate much with age, making it possible to maintain and deliver superior performance for the long term. 14. Available for Overhaul & Revalving! 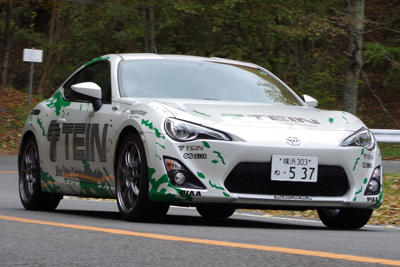 TEIN offers excellent after-sales service. 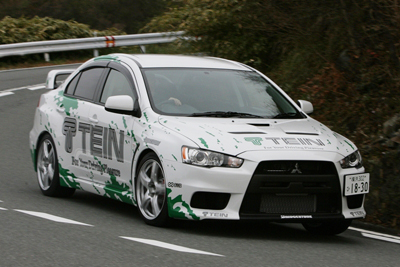 Like most TEIN shock absorbers, MONO SPORT can be overhauled to restore its original performance. 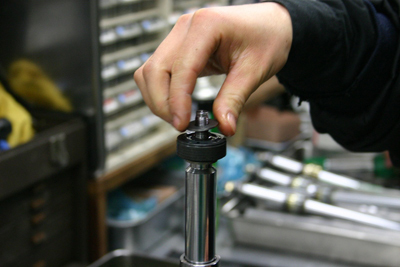 As TEIN shock absorbers can be fully disassembled, revalving service is also available to change damping force settings to meet customer's preference.